Design Criteria for Ranges | C. Vargas & Associates, LTD.
I’m a competitive shooter. At one time I shot more than 50,000 rounds a year in practice and competition. I’m also a civil engineer and a small-arms shooting range designer by avocation. I get to do what I love for a living. I’m lucky. I will be presenting guidelines on how to design ranges, but more importantly the reasons for design considerations. There is only one overriding design criterion paramount to the design of shooting ranges and that is safety. There is an adage known by experienced range designers and range operators: A completely safe range cannot be designed. A safe range results if, and only if, it is safely operated and if the participating shooters are controlled by the rules and safety policies. Shooters are controlled by safety rules and safety policy which must be enforced on your range. Rule violations must have consequences. If you don’t enforce your rules, then you are just giving advice. It’s important to ingrain the idea into shooters’ minds that unintentional discharges can occur to everyone.  - teaching shooters how to approach the firing line. - teaching shooters proper gun handling on the firing line. - teaching shooters that only aimed fire is allowed. - teaching shooters all range rules. Cost effective, safe range design can only result if safe, controlled shooters are an assumption. To reiterate, range managers must ingrain the idea into shooters’ minds that unintentional discharges will happen. I have been shooting for more than 30 years. I have had unintentional discharges. When this happens, it is very traumatic. You become very embarrassed. The only thing that can save you is that you have been taught to keep your muzzle pointed downrange so when the discharge occurs, no damage is done. Knowing how to approach a firing line is a courtesy that needs to be taught to all shooters. For example when a new shooter walks behind other shooters, that new person must know how to handle firearms behind other shooters in a way that puts them at ease. At your range, you must insist that shooters will execute aimed fire only, and this does not include how quickly you fire. You can have very accurate rapid fire at your range. However, the type of firing that you allow must be in relation to the distance to the target and has to be a process of: aim, fire and hitting the target (you must insist on this) and not your backstops or wooden frame, which will destroy property. Shooters, of course, must also be made to know the administrative rules. Cost effective range design results only if the designer assumes that the shooter is going to be controlled. Analyze what I just said. If the designer knows that the shooter is not going to be controlled, the only thing that can be designed would be a box with 16-inch thick walls for the shooter to enter. That would not be a very pleasant shooting experience. Let us look at the following diagrams, and then you can see the reasons why ranges are designed the way that they are. Figure 1 is a surface danger zone diagram of a shooting range for a single small-arms shooter firing at a fixed ground target. The center line is the vertical line through the middle of the firing fan. Each side of the center line, you have a 5-degree sector. That 5-degree sector is the dispersion or wobble that the shooter holding a firearm would be expected to have downrange. On either side of that 10-degree arc, the designer provides another 5 degrees to each side for ricochets and for any misalignment or inaccuracies. Adjacent to that, the designer provides an area that is called an “A” area. Typically, for small arms, it is 100 meters wide. The distance from the firing line to the maximum trajectory line is called the “A” distance. Table 1, Figure 2 provides reasonable ranges for small-arm caliber bullets. A designer develops the impact sector area by first imagining a person who is firing at ground level at a surface target being able to deviate 10 degrees each side of a center line of fire and allowing him to raise the rifle or the pistol at a 30- to 35-degree angle. These are the angles that will give a maximum trajectory. You now have the maximum distance of impact and a description of the area that is impacted by a range. This surface danger zone to provide a safe area for one shooter to shoot is a very large area and in most urban locations would be cost prohibitive. Figure 2 shows a 200-yard range. It is 100 yards wide by 200 yards long. That gives an idea as to the amount of area that is required for a safety fan for that size range if it were nonbaffled and did not have a backstop. To give you an idea of distance, Table 1 shows the maximum range of typical small-arms ammunition. The .22 long rifle is going about 4,590 feet. That’s just under a mile. The .223 travels about two miles. The .30-caliber is going about 15,000 feet or three miles. Those are considerable distances. Figure 3, Figure III shows the trajectories of national match bullets. These trajectories were developed for the .30-caliber rifle bullet as the bullet was improved. Experimenting started in 1919. Four years later, the bullet was further developed, where there was the 150-grain, .30-caliber bullet with a flat tail which gained 900 feet. Then it was redesigned from 150 to 170 grains. They got 2,700 feet more distance, as shown in Figure 3. For shooting maximum distance, the rifle was aimed at 30 degrees. In Figure 3, Figure III, the bullet basically rises up 1,500 yards and travels 17,100 feet or 5,700 yards. In 1922 and 1923, bullet design was improved by developing a 6-degree boat tail. The next refinement in 1924 and 1925 resulted in another 3-degree angle in the back to make a 9-degree boat tail, for an additional 3,600 feet. That’s how the 10,000- to 15,000-feet trajectory was developed for the .30-caliber match bullet. To give you an idea of trajectories, Figure 3, Figure II shows typical trajectories when shooting at 1,000 yards. The rise to the summit is about 5 yards. The lower trajectories are shooting to 500 yards. The bullets to contain in a range design are powerful bullets. Table 2 gives the thickness of materials required for positive protection against direct impact for different calibers of ammunition. Take a look at the .30-caliber ammunition. It takes 7 inches of 5,000 psi concrete to contain it; it takes about 20 inches of broken stone, and it takes about 48 inches of earth. As a design consideration, if you’re going to stop a round, you must completely stop it. Table 2 distances are minimum distances to be provided in designs. If the designer wants to slow the round or contain it within a shot fall area, then one can make the assumption that proportionately, if 7 inches of concrete stops the bullet, then 3 1/2 inches of concrete will take 50 percent of the energy out of a .30-caliber round. Therefore, the designer can make estimates as to how to slow a round and where that round would fall, giving the designer the choice not only to completely baffle, but also fence the shot fall areas to prevent access to those areas. Let’s discuss the physics of a bullet in flight. Figure 4 shows forces acting on a bullet and the start of its flight. The bullet has a center of gravity through which the force of gravity acts. The quick burning powder will give it a pressure impulse at the tail of the bullet which provides direction of flight and exit muzzle velocity. The front of the bullet, however, is going to hit air resistance which will slow it down and generate, along with gravity, a resultant force that retards the bullet. When we’re discussing trajectories, as in Figure 5, the base of trajectory is at the muzzle, the origin of trajectory. It is always horizontal to the earth or perpendicular to the pull of gravity. For shots that are made within 10 degrees up or down from the horizontal, the designer can assume that the line of sight is parallel to the base of the trajectory. This, however, will not be true when shooting down into a valley and also not true when shooting up into a hill steeply. Figure 6 shows flat and plunging trajectories below 30 to 35 degrees, giving maximum trajectories. These are flat trajectories. Those shots are the ones that we’re most concerned about as designers. Shot that is fired above 30 to 35 degrees provides plunging trajectories. That trajectory mainly occurs with artillery guns; it is the normal trajectory of an artillery shell. The trajectories that we are discussing are flat trajectories for small-arms ammunition, i.e., direct fire. Figure 7 shows motion of a bullet being fired. Due to the force of the inertia, and without any gravity, it would move horizontally in perpetuity. A .30-caliber round travels at 2,800 feet per second, and within the first second of flight that bullet is 2,800 feet downrange. By the fifth second of flight, it would be 15,000 feet downrange. This is maximum distance as limited by the pull of gravity. What actually happens is that Mother Nature has the 32-foot per second acceleration constant that is called the pull of gravity. Gravity starts acting on a bullet immediately as it comes out of the barrel and is no longer supported by the barrel. Figure 8 shows bullet drop in a vacuum acted on by gravity. In one second the bullet falls 16.1 feet. In five seconds, which is the maximum time of flight for the .30-caliber bullet exiting at a maximum range angle, it would have fallen 402.5 feet, which is quite a distance. If a man, 5 feet 6 inches tall, fired on the horizontal plane, one can calculate that bullet is going to hit the ground quickly, and it does. The design problem is, that by the time that bullet falls 5 feet 6 inches, it is already 2,800 feet downrange. At most ranges, shooting will occur inside of 200 yards. With a very flat trajectory, a bullet has to be contained or slowed down in the design, because so much energy still remains. Figure 9 (a combination of figures 7 and 8) shows that the motion of a bullet when fired horizontally and acted upon by gravity without air resistance arcs down immediately upon leaving the support of the barrel. What must the shooter do in order for that bullet to hit your bull’s eye? The shooter inserts an angle of elevation into the gun, as shown in Figure 10. The angle of elevation is inserted with the sights in order to provide the trajectory that hits your bull’s eye. Note that the base of trajectory is the horizontal. Figure 11 shows the elements of trajectory. It graphically gives a description and summarizes what a trajectory is. There is an ascending branch or summit; this is the point in which the pull of gravity equals or reduces all vertical velocity. Then there is a descending branch. The velocity in the horizontal at the point of impact is called terminal velocity. A .30-caliber going its maximum distance of 15,000 feet impacts with sufficient force to penetrate about 2 inches of wood. Now that we have gone through ballistics, we need to talk about range design to contain bullets and control angles. A typical range, as in Figure 12, requires ample parking for shooters unload gear and feel comfortable. Parking must meet the design criteria of your locality. The range has to have an assembly area where shooters can check their gear. There must be a ready area for shooters before they go to the firing line. At that time, shooters may start wondering if their sights are set properly. They may want to check their sights and scopes. To remedy this need, range design should provide a safety area. A safety area is nothing more than a place for shooters to handle their guns unsupervisedly. A requirement of a safety area is that no live ammunition is allowed, since unsupervised gun handling will take place. No ammunition is allowed, period. After checking their gear in the ready area, shooters go to the ready line. The ready line is a control line to enable officers control over shooters going to the firing line. Some type of fencing must be provided to prevent indiscriminate access from the ready line to the firing line without going though a control point or past a range officer. At a prescribed distance from the firing line, the range has target lines. The firing fan in Figures 1 and 2 shows a 50-degree angle that set up the ricochet area. In order to catch all ricochets, the side berms must extend far enough to contain any ricochets. That is the main purpose of side berms. If the designer projects to the backstop a line that is perpendicular to the end of the firing line 90 degrees to it, the designer must provide a backstop with sufficient runoff to the right and left to contain rounds with a 5-degree wobble, which is predicted as normal dispersion. The designer would provide ground baffles to catch rounds that ricochet. The purpose of ground baffles is to intercept rounds skipping and rising. Theory states that a ricocheting round leaves the point of impact at the same angle under which it impacted. In reality, that’s not true because there are a lot of surface irregularities. The designer, however, must follow the theory. The designer places ground baffles to intercept the ascending ricocheting rounds before they get over the backstop. In front of the firing line, the designer places overhead baffles to contain shots that would otherwise travel over the berm. Figure 12 shows the optimum, most cost effective range that can be designed to contain rounds. One of the most important criteria to control range construction cost is to select a proper site. There must be sufficient distance behind the backstop so that sound does not affect the neighbors. You don’t want neighbors to complain. Also, if a round or a ricochet gets out, it should fall within the range’s nonaccessible fenced property. If you build in a populated area, your range must be totally baffled so that the range owner can demonstrate to a judge that a round cannot escape. Ranges are very expensive to construct. The Tenoroc Shooting Range (see Figure 13), which was part of the field trip tour, was constructed using these guidelines and was moderately priced. Tenoroc will contain a round in a prescribed area should it escape through the baffles. Let’s look at an example of baffling requirements. A shooter, at a 5-foot-6-inch eye level, is in a covered pistol line (see Figure 14), so you should design a baffle so that his line of sight goes below the first baffle, as shown by Figure 14′s dash outline. The shooter’s line of sight would intercept the backstop 5 feet from the top. All shots that are fired within this height are going to impact the berm. If you were to take an angle up to 35 degrees up from the muzzle, some type of structural material must be provided on the roof to make sure that a bullet does not go through unimpeded. It must be intercepted so that it will not travel maximum distance. The recommendation for Tenoroc Shooting Range was a construction of sheet steel sandwiched between wood. Figure 15 shows a pistol range cross section of a typical baffled range design. This example shows the 5-foot-6-inch eye level shooter in Sections A or B. If he makes a shot that is just caught by the bottom of the first baffle, then it is also caught by the top of the second baffle, which gives you an 85 percent reduction in energy for that bullet. The next design consideration would be shooting from the bench. If the shot clears below the bottom of the second baffle, it is intercepted by the top of the berm. All shots are contained. Obviously, this range should not allow prone shooting. A prone shooter could only shoot safely on top of a table. You must be able to control the shooting that is done within your range. If you want to allow prone shooting, additional baffles must be built to contain those lower shots. The cost to do so would be considerable. Figure 16 shows typical backstop construction. The core area is made out of the cheapest material that you can find-a clay or soil to stand up on a 1-to-1 slope. If you use sands, the natural angle to repose will result in about a 1-to-1 slope. This results in a more expensive berm. You’ve heard about lead considerations. One recommended design feature for new ranges is to construct an impervious layer to intercept any lead leachate, so that leachate runoff would be directed into a ditch. That ditch would be directed to some type of pond. If lead migration results, and you have to do a cleanup, you know exactly where you to look for that lead. Adding a soil amendment such as lime to raise the soil pH is also recommended to reduce solubility and lead migration. Any new design should allow for eventually removing about 3 feet of the front of the back berm’s face periodically. There are many opinions about how to handle lead. I believe that to get out from under the Resource Conservation and Recovery Act definitions of hazardous waste, you need to recycle lead. Recycled materials clearly are not a waste. If lead is not waste, it can’t be a hazardous waste. When recycling after lead sifting, the remaining tailings can be controlled through soil amendments to prevent groundwater contamination. If all these design features are implemented, a new range should be in fairly good shape with respect to lead. Another range design consideration to stop shot is to build a manger (see Figure 15) especially in areas where shooting steel targets takes place. The manger will keep ricochets from going over berms in ranges where you shoot steel chickens and plates and other types of reactive targets. Also, some range managers do not mine the lead on a periodic basis the way they should, or they shoot more and put more lead downrange than they mine. This creates an armor coating situation which causes bullets to ricochet. The manger solves this problem also. In armored backstops the bullet can impact and skip, or it can roll up the hill or dislodge other bullets which sail back over the berm. In that case, lead can scatter 70 to 75 yards behind the backstop. The way to stop this would be to put in a ricochet catcher (see Figure 16, Detail 1). Normally the ricochet catcher is built 5 to 6 feet from the backstop crest. It protrudes 5 to 6 feet from the face of the backstop. Figures 17 and 18 are typical baffle designs. Figure 19 is another type of range baffling. This is what is called the Venetian blind baffling. To the left in Section A is your firing shed. Approximately 8 feet from the firing shed, the baffles are about 1-foot centers. The baffles are vertical 2-by-12-inch boards. As you get further away from the firing line, the baffles get spaced out. The theory behind this design is, any shot that could get through passes through two pieces of 2-by-12-inch material to reduce bullet energy. The designer can do a lot of things to control angles of escape. Figures 20 and 21 are typical Air Force designs. What the designer has chosen to do in this design is to raise the shooting line 3 feet above the ground. Ground baffles are 3 feet high so the shooter is now shooting over the top of the ground baffles when shooting prone. Then, overhead baffles are set 9 feet above the ground. If you analyze all of the angles of escape, no bullet can get through when firing from the firing line. This type of design then allows for prone shooting to occur. With respect to the Air Force design, it is more expensive than what you saw at Tenoroc Shooting Range yesterday. Typical ground baffles depicted in Figure 22 are sandwiched composite construction. In Detail 1, it was chosen to put additional earth material behind it in order to stop the shot. Baffles shown on Figure 23 are what is called the 45- or 90-degree exit angle baffles. The design is recommended by the National Rifle Association for urban areas. Basically, it is steel construction with prestressed hollow core concrete slabs at a 25-degree angle. The recommendation is that if property owners have built or could build dwellings within one-half mile downrange of your property, you could possibly get by with a 45-degree angle design and should baffle the range completely, from the firing line to the target line. If neighbors are within one-quarter mile, then the recommendation is to use a 90-degree design.  This design is such that if someone pointed a firearm up and fired vertically, the bullet would not leave the range. Figure 24 shows a range design of which I’m very proud. This is the Gateway Rifle and Pistol Club, a 2,700-family member club where I’m president. It was designed by competitive shooters. It is made available to the public in Jacksonville, Florida, because we need to provide a place for members of our community to shoot. Gateway has 16 ranges that are operated by competitive shooters. At least two competitions are conducted every weekend. Gateway is open 363 days out of the year. We let day guests from the general public use our range. The pistol complex has 15-, 25- and 50-yard lines. The smallbore rifle complex is 100 yards long. Gateway has a 200-meter highpower rifle range. The range has a silhouette range at the center; action pistol has seven ranges to the east. There is a 100-yard rifle practice range in the northwest corner and an air gun range in half of Building 1. The 15-yard pistol and 100-yard rifle ranges alone provide income for 25 percent of Gateway’s budget annually. That is income from paying guests who are coming off the street. Gateway’s ranges face northwest toward airport property, which surrounds us to the north, east and west. We have entered into a lease arrangement for airport property off the easterly property line. We shoot shotgun, and the shot fall is off of our property to the east on leased airport property. Cultivating your neighbors is something that has to be done by the range operator and is something in which Gateway members and board of directors are very active. We support local politicians; we support 4-H; we help with YMCA. This type of activism has made us a valuable part of the city fabric. The city considers Gateway an asset, as opposed to a sore spot or liability. Ranges site selection has got to be done with respect to the safety concerns that I just covered. The site selected is going to dictate how much money you’re going to spend developing the range. Before you can get to range construction, a master plan is a must. Go to a professional designer to help you. You’re probably going to have more shooting range in mind than you can afford. After that, come up with a financial plan. Your financial plan is your reality. It separates needs from wants. Your master plan shows your ultimate development, but your financial plan tells you how far you can go budget-wise, or how to stage your construction until you can achieve your total master plan. If you proceed with your range which is designed by a professional, you then can apply for permitting. Once permits are obtained, then you can do your construction in phases. Again, let me reemphasize, completely safe ranges cannot be designed. Remember that a safe range results from controlling your shooters. The most important decision in range design is site selection with safety in mind. Selection of the proper site results from a proper range master plan, and reality only happens as a result of a financial business plan. Once the site is selected, preliminary site plans are developed, and estimates of cost are derived. The project should be designed according to phases which will generate income to allow construction of subsequent phases proceeding to completion.